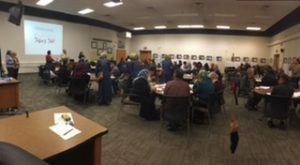 On November 2nd, the EL and Compensatory Education department hosted a district-level parent meeting for new families. Transportation was provided from neighborhood schools to assist parents in attending the informational meeting. Committee members in attendance included Youssef Mosallam, Rose Aldubaily, Maylee Mosallam, Ameena Elder, Lila Amen, Margaret King-Ahmed, Rola Bazzi-Gates, Amged Monyiddin, Manar Kodamah, Wedad Maatouk and Nadra Shami. 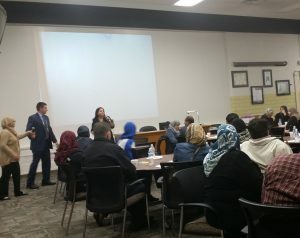 Youssef Mosallam and Glenn Maleyko welcomed parents to the district, shared our district mission in meeting students’ needs and our goal of partnering with parents to help all their children be successful. 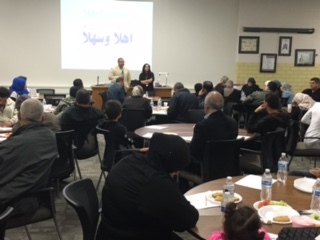 Wedad Maatouk represented the Adult Education and shared information about how Dearborn Public Schools is committed to meeting the educational needs of all residents through classes and programs that are offered by the Adult Education program. Margaret-King Ahmed, district parent involvement educator, shared a snippet about Parent Talk opportunities offered at various DPS schools which focus on talking to children using language that builds self-esteem and encourages responsibility. 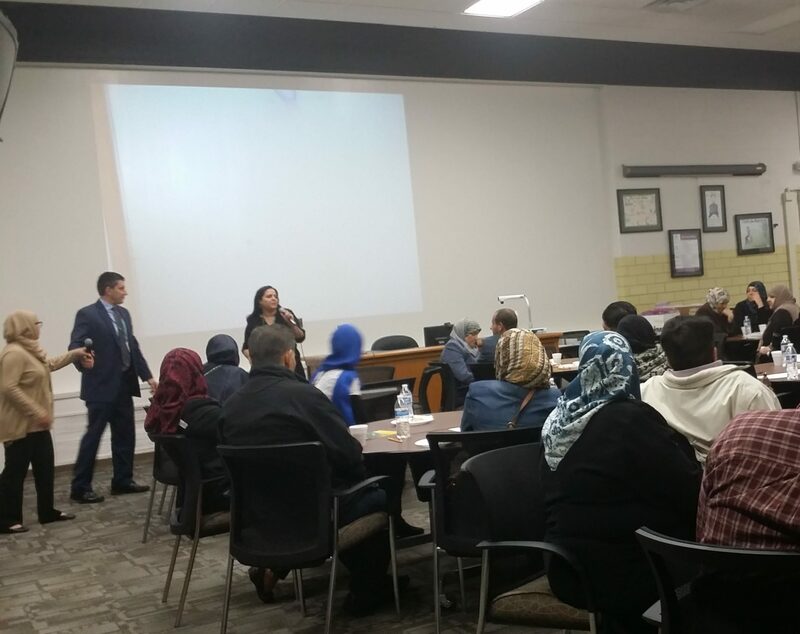 A parent survey was administered and completed by parents with native language support and translation provided by Manar Kodamah, DPS district liaison. The survey results will assist in planning future meetings and making ‘next step’ decisions. Representatives from ACCESS and HYPE were also in attendance and shared the resources and supports they are able to provide to parents and their families. Contact information and brochures were shared to give parents access to the services available to them. Parents were pleased and satisfied with the community and school outreach.